Art with a Heart hosts beginner workshops and programs in drawing and painting, and is also a community gathering location that encourages art related activities in the neighborhood. It partners with a variety of art projects in the Baltimore area and aids with the construction of murals and other art spots. 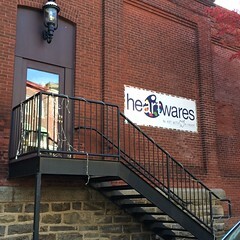 Art with a Heart also has a shop, HeARTwares, that is a result of the Summer Job Program and Art to Market Program it offers.